People who take advantage of the SUPPLY POINTe franchise opportunity enter a multi-billion-dollar transportation industry. This opportunity connects investors with multiple sectors within this massive industry, including service and product offerings. Pallets are central among the many services and products offered by SUPPLY POINTe. 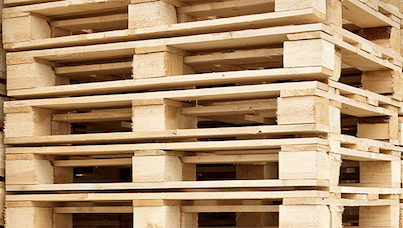 Our clients buy from us — and sell to us — thousands of pallets every week. If you’re wondering how to start a pallet business, there’s no better resource than SUPPLY POINTe. Investing with us lets you take advantage of the best parts of every pallet business for sale, while also giving you a chance to also sell many more product and service lines. We admit it — pallets aren’t something many people consider as a business opportunity. But it’s a smart industry to examine, and SUPPLY POINTe can teach you how to start a pallet business that’s poised for growth. There are many reasons people are in search of a pallet business for sale. One is the sheer size of the industry. In the United States, more than 1.8 million wooden pallets are in use every day — and that doesn’t even include plastic pallets or those used for international shipping. Pallets are used in just about every shipping and warehousing application, so pallet businesses make sales to customers in a wide array of industries. This diversity of potential clients enables SUPPLY POINTe franchise owners to market to a wider variety of customers. Whether it’s a grocery store that’s stacking up produce or an automotive shop storing hundreds of heavy parts, businesses need pallets for their day-to-day operations. Find out more at Supply Pointe pallets. Operating a viable pallet business takes more than just the buying and selling of materials. It requires industry knowledge and connections, and the technology systems to manage orders. Investors in the SUPPLY POINTe pallet business for sale benefit from the experience of our team, along with our longstanding industry connections. Members of our franchise program also use our customized software program to coordinate shipments. This helps you answer questions, find solutions and streamline your operation in order to reach your fullest potential. Considering a pallet business for sale? Get more with SUPPLY POINTe! Why limit your business to pallets? 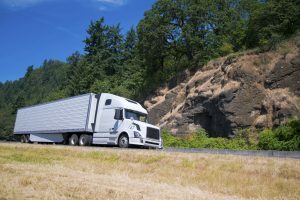 SUPPLY POINTe’s franchise offering lets you tap into the incredibly vital transportation and shipping industry with multiple products and services.